At K & D Bak Painting and Decorating we have a handful of preferred paint products that we choose to use. Exterior - Haymes Solashield - this is their finest exterior paint ever made which combines superior UV resistance in a water based product. Porter's Paints have been creating paints, wallpapers and finishes of extraordinary depth and colour for over thirty five years. Their traditional and modern paint finishes are all water-based, durable, easy to apply and made by hand. 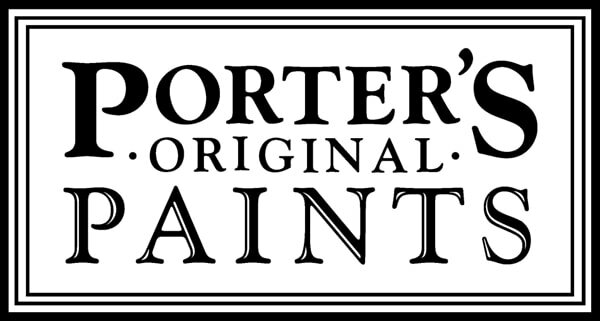 Porter's Paints still makes paint and wallpaper by traditional methods and to original formulations, producing an unrivalled depth of colour. In contrast to many other manufacturers, their paints are all water-based, they use a variety of natural ingredients and limit or avoid harmful ingredients. For exterior work, Taubmans Endure Exterior is a high quality product providing outstanding durability, backed by a lifetime maximum protection warranty. It has Nanoguard Technology which means it has small and large particles that interlock, creating a strong protective shield so it's tough, repels dirt, and provides superior protection from the harsh elements; the sun, wind and rain. For interior work we prefer to use Dulux Wash & Wear® which comes with hard wearing, stain resistant Barrier Technology™. It creates a super tough acrylic finish that allows you to wipe away most common marks, scuffs and stains with a wet cloth. Dulux Wash & Wear® is low odour and low VOC. For Exterior work we prefer to use Dulux Weathershield®, tested for over 40 years in Australian conditions. Designed to withstand all weather, from extreme heat to heavy rain, Dulux Weathershield® also prevents UV damage and resists mould and stains.